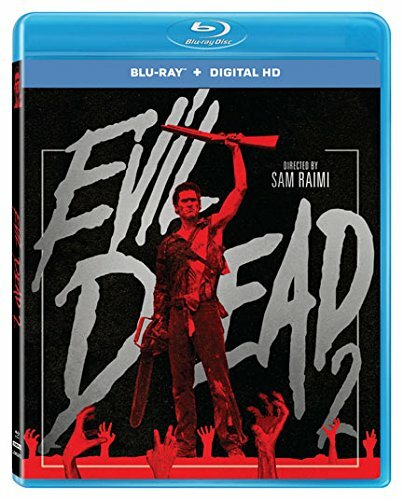 DVD & Blu-ray Releases: September 13, 2016 - Horror News Network - The Horror News You Need! This week’s list of releases includes the highly anticipated The Conjuring 2, Blu-ray releases of Frankenstein: Complete Legacy Collection and The Wolf Man: Complete Legacy Collection, along with several DVD re-issues, which include The Ring and The Ring Two. You can view the complete list of this week’s horror releases below. Synopsis: The supernatural thriller brings to the screen another real case from the files of renowned demonologists Ed and Lorraine Warren. Reprising their roles, Oscar nominee Vera Farmiga and Patrick Wilson star as Lorraine and Ed Warren, who, in one of their most terrifying paranormal investigations, travel to north London to help a single mother raising four children alone in a house plagued by malicious spirits. Includes UltraViolet so you can enjoy the film on many different compatible devices. Synopsis: The original Frankenstein is one of the silver screen’s most unforgettable characters and, along with the other Universal Classic Monsters, defined the Hollywood horror genre. 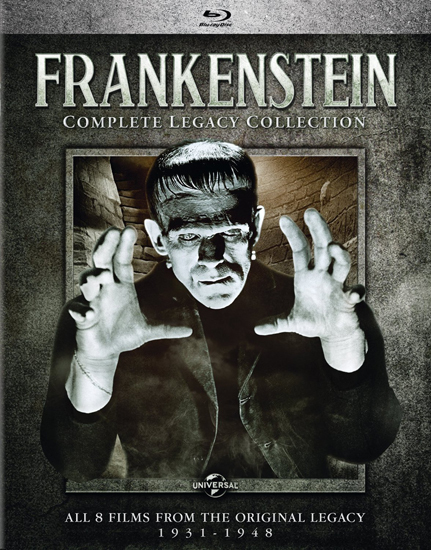 Frankenstein: Complete Legacy Collection includes all 8 films from the original legacy including the tragic classic starring Boris Karloff and the timeless films that followed. These landmark motion pictures defined the iconic look of Henry Frankenstein’s Monster and his Bride, and continue to inspire countless remakes and adaptations that strengthen the legend of Frankenstein to this day. 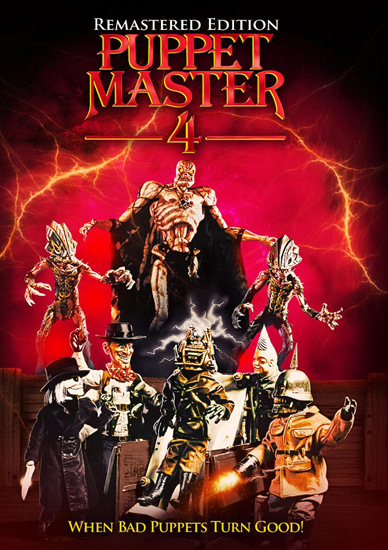 Synopsis: The chilling movies produced by the Hammer Films studio have been scaring audiences worldwide for decades with their use of ominous and supernatural elements which foretold the coming of doom. 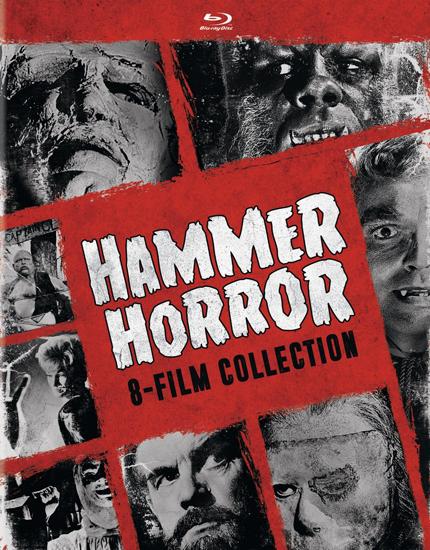 Relive the chilling fear with some of their best classic stories in the Hammer Horror 8-Film Collection showcasing monsters that helped shape the modern day characters we love to be frightened by today. Featuring Brides of Dracula, The Curse of the Werewolf, The Phantom of the Opera, The Kiss of the Vampire, Paranoiac, Nightmare, Night Creatures and The Evil of Dr. Frankenstein, it’s absolutely a must have for the house of Hammer horror collector! Synopsis: The original Wolf Man is one of the silver screen’s most unforgettable characters and, along with the other Universal Classic Monsters, defined the Hollywood horror genre. 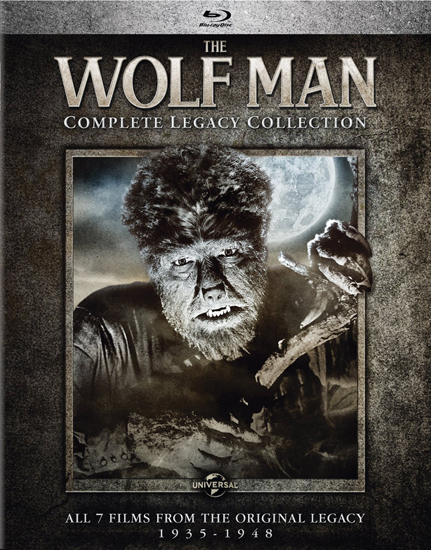 The Wolf Man: Complete Legacy Collection includes all 7 films from the original legacy including the eerie classic starring Lon Chaney Jr. and the timeless films that followed. These landmark motion pictures defined the iconic look of the tragic monster and continue to inspire countless remakes and adaptations that strengthen the legend of the Wolf Man to this day. Pure in Heart: The Life and Legacy of Lon Chaney, Jr.
Synopsis: American mystery author Peter Neal (Anthony Franciosa) comes to Italy to promote his newest novel, TENEBRAE. Unfortunately, a razor-wielding serial killer is on the loose, taunting Neal and murdering those around him in gruesome fashion just like the character in his novel. As the mystery surrounding the killings spirals out of control, Neal investigates the crimes on his own, leading to a mind-bending, genre-twisting conclusion that will leave you breathless! Featuring an amazing synth-music score from Claudio Simonetti, Fabio Pignatelli and Massimo Morante (formerly of Italian progressive-rock band, Goblin), this all-new TENEBRAE release was created from the original uncut camera negative. Also stars John Saxon (A NIGHTMARE ON ELM STREET), Daria Nicolodi (Dario Argento’s PHENOMENA) and John Steiner (CALIGULA). 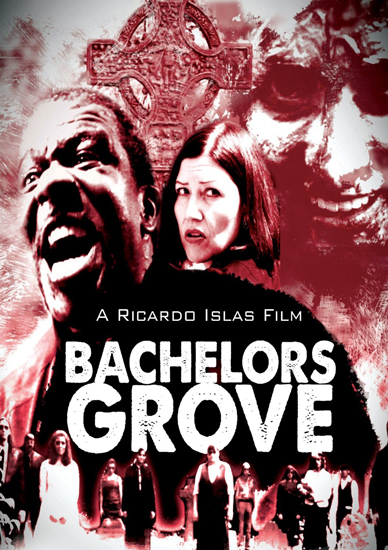 Synopsis: “The sleepy little lighthouse community of Piedras Blancas has a big problem when bodies begin piling up (thankfully there s the ice room at Kochek s Store for meats and groceries) and a scale from a thought-to-be-extinct prehistoric amphibian is found nearby. Could this be the work of … The Monster of Piedras Blancas? 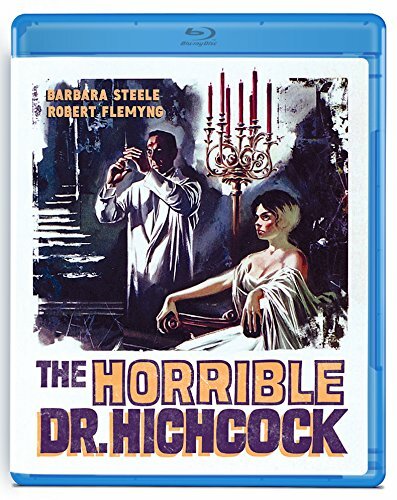 Synopsis: “From director Robert Hampton, (Lust Of The Vampire) comes The Horrible Dr. Hichcock (L orrible segreto del Dr. Hichcock), the twisted and terrifying tale of Dr. Bernard Hichcock (Robert Flemyng, The Quiller Memorandum) whose secret desires and perverse passions lead to the death of his wife, Margaret (Teresa Fitzgerald, Class of Iron). The Ring – A journalist must investigate a mysterious videotape which seems to cause the death of anyone in a week of viewing it. The Ring Two – Six months after the incidents involving the lethal videotape, new clues prove that there is a new evil lurking in the darkness. Synopsis: The lone survivor of an onslaught of flesh-possessing spirits holds up in a cabin with a group of strangers while the demons continue their attack. Synopsis: A journalist must investigate a mysterious videotape which seems to cause the death of anyone in a week of viewing it. Synopsis: Paranormal Activity 6-Movie Collection includes Paranormal Activity 2, Paranormal Activity 2, Paranormal Activity 3, Paranormal Activity 4, Paranormal Activity: The Marked Ones, and Paranormal Activity: The Ghost Dimension. Synopsis: After the tragic death of her soldier husband, Bryony tries to build a new life for herself and her young son, James. Struggling with her grief, she fails to notice that James has become secretive and withdrawn, spending hours alone in his room playing out death scenes with his toys. When an overflowing sink brings down the living room ceiling, Bryony is convinced that James is responsible despite his protests that he is not to blame. With their house half-flooded, Bryony bundles James into the car and drives to her parents’ house only to discover that her sister, Lisa, is house-sitting. The sisters are not close but, reluctantly, Lisa agrees to let them stay. Soon there are more unexplained incidents and when Lisa notices that strange things happen whenever James is upset she becomes convinced that he must have some form of psychic power. Bryony ridicules the idea but agrees that James is deeply disturbed. When she discovers that James has built a giant dream-catcher in his bedroom to protect himself from evil spirits Bryony finally realizes that the boy is terrified. 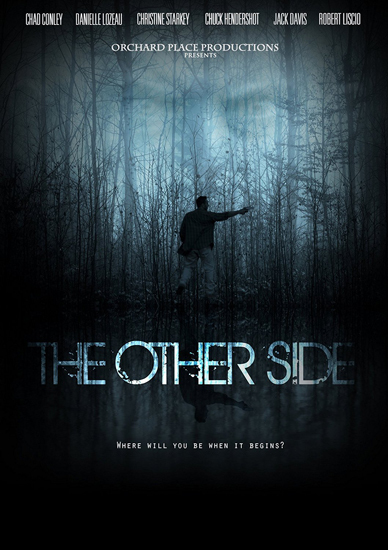 He tells her that he believes he is being followed by an unseen presence and soon the two sisters are convinced that there really is something supernatural happening. Bryony confesses to Lisa that when her husband, Steve, last returned home from Afghanistan he had been suffering from post-traumatic stress disorder and had been possessive and violent. Eventually Bryony had become so frightened that she had run away and taken James with her. As the paranormal incidents become increasingly threatening, Bryony realizes that Steve’s spirit has returned to reclaim his son. Now she has to find a way to confront Steve as she knows that, if she cannot find a way to stop him, she and James will be separated for ever. 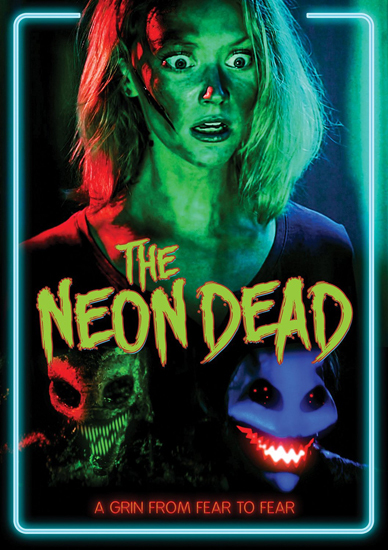 Synopsis: An unemployed recent college grad hires two freelance paranormal exterminators to combat a monster infestation in her new home. But their prodding into the new evil found in the home unleashes an ancient demon and his army of monsters, intent to possess any human they make contact with. Synopsis: Blumhouse 4-Movie Horror Collection includes The Veil, Mercy, Visions, and Mockingbird. Synopsis: ALL HOLLOWS’ EVE-Beautiful, unsuspecting Sarah is looking forward to a quiet Halloween night at home with the two young teens she’s babysitting. Then, she discovers an unmarked old VHS videotape in one of the kid’s bags of candy. On the tape: a series of wildly outlandish tales of murder, torture and unearthly mayhem, all somehow linked to a diabolical clown-from-hell. As each tale ratchets up the terror, bizarre phenomena begin to occur in the house, as Sarah discovers that the grimacing, white-faced clown on the video may be saving his most horrific All Hallows’ Eve treat. just for her. 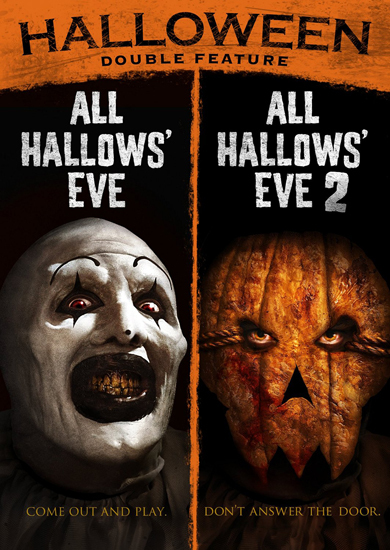 ALL HOLLOWS’ EVE 2-Alone on Halloween, a young woman finds a mysterious VHS tape on her doorstep-a tape that shows a series of gruesome and ghastly tales that appear to be all too real. 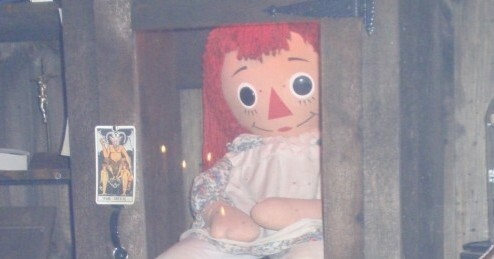 But these terrifying glimpses of damned souls are not the only horrors that stalk her. 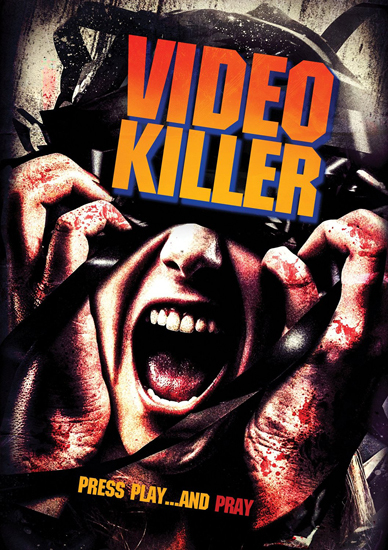 A sinister, pumpkin-faced killer is using the videotape as a portal into our reality; and if he makes it through, this twisted trickster seeks only one “treat”: blood. Synopsis: The spirit of a dead Chinese railway worker seeking revenge possesses the body of a lethal Ninja! 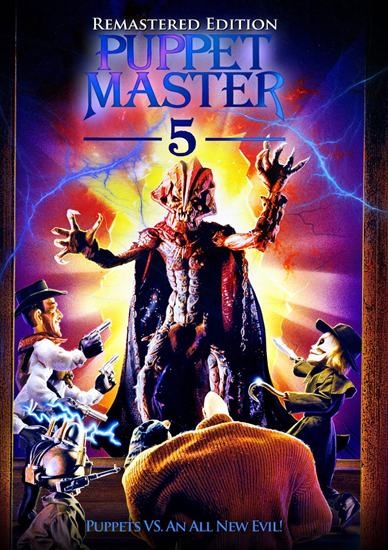 Synopsis: When Amy receives a haunted VHS tape containing weird films from a figure stalking her she realizes she is not alone and must find other victims who are being haunted in hopes of figuring out who is trying to kill them all. Synopsis: With the hopes of a new life for his family, Bruce Diaz left the harsh city for the serene and majestic mountains of California. The Diaz family’s first day in their new house would go down as one of the most violent 24 hours any family could ever imagine. With no serviceable evidence being retrieved and no witnesses to speak, the case was eventually dismissed. Several years later, the family’s personal home movie footage was released by anonymous source. Home Video tells the family’s story, through their eyes. 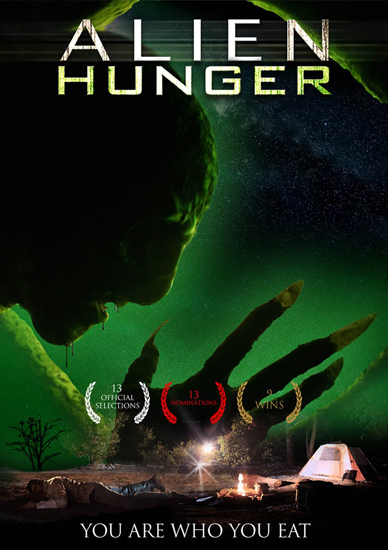 Synopsis: Aliens with a ravenous appetite for summertime campers descend upon a campground. Synopsis: Six months after the incidents involving the lethal videotape, new clues prove that there is a new evil lurking in the darkness. 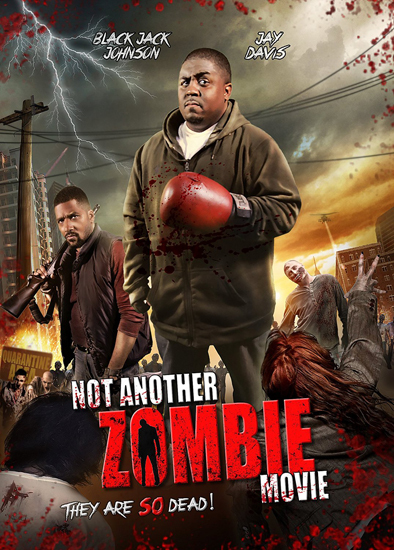 Synopsis: Franklin and Mike find themselves trapped in the undead-infested Cyrene City, where they must attempt to lead a group of unconventional survivors to safety. 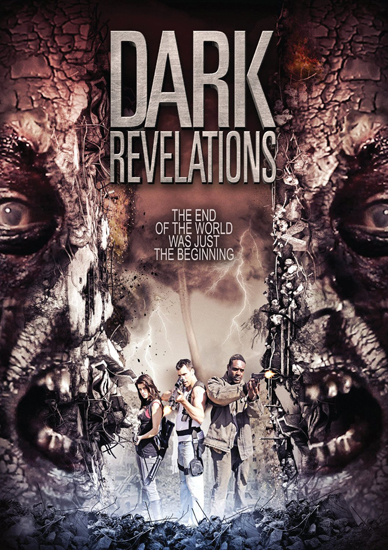 As they join forces with the likes of a pregnant woman, a moronic arms dealer, and a mentally challenged man, they will have to determine which is worse: relying on each other or succumbing to the zombie mayhem. While this uprising of zombies has overwhelmed the city, Mr. Roberts, the CEO of R2 Pharmaceuticals, has sent in a team of mercenaries known as the S.I.E.G.E into Cyrene City to recover the only known antidote for his own financial gain. Synopsis: If you think a woman can’t hold her own in the face of battle, guess again. These bad *** babes can slay dragons and slaughter armies. From Kung Fu masters, to post Apocalyptic mercenaries, these babes show no mercy to those who oppose them. Lady of Death When a top female ninja assassin is left for dead, she is forced to join forces with the mafia to exact her revenge as she fights her way through a hierchy of elite warriors to kill the ruthless ring leader that left her for dead. Female Warriors A band of renegade female warriors fight their way through the walls of the last city while combating mutated scavengers, and wasteland renegades to storm and conquer the last bastion of civilization. Synopsis: A four-film Midnight Horror Collection filled with stories of vicious stripper-killers at a bachelor party, terrifying werewolves hunting down one of their own, blood-thirsty vampires in an underground fight ring, and one crazy blood sucker who likes to play games. 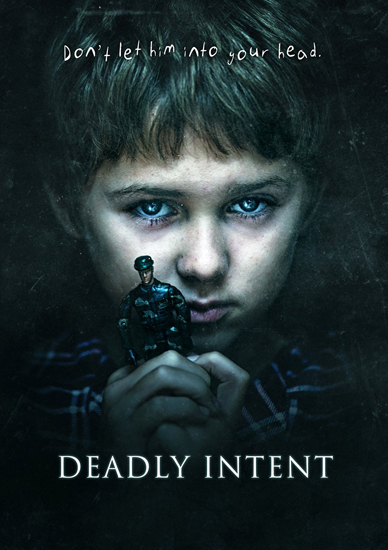 Synopsis: INVOKING-After inheriting a house from the family she never knew, Samantha Harris (Trin Miller) and three friends head to rural Sader Ridge to inspect the property. Soon after arriving, Sam begins to experience horrific visions of savage brutality and unspeakable evil. Plagued by the sinister forces closing in around her, Sam descends into a waking nightmare when the demons from her past refuse to stay buried any longer. INVOKING 2-Although hundreds of disturbing paranormal events occur every year, most of these chilling encounters go unreported. until now. 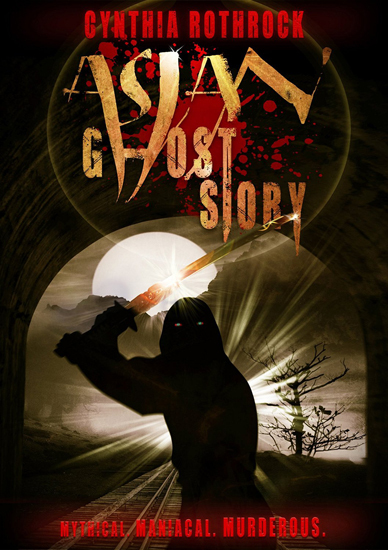 Bear witness as hapless victims experience the unspeakable terror of confronting demonic forces, murderous poltergeists and other evil entities that are dead set on claiming their souls. 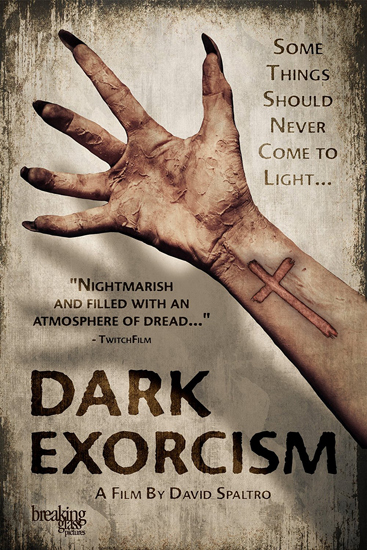 Descend into an abyss of waking nightmares as these bloodthirsty, malevolent spirits seek to possess their prey and drag them-kicking and screaming-to hell. Synopsis: An occult masterpiece featuring the Devil, a cloak-and-dagger thriller set in Washington, D.C., a scary sci-fi epic about an alien infestation, and a mad-scientist’s unethical experiments highlight this classic Midnight Horror Collection. Starring Bela Lugosi, Jean Allison, Clayton Moore. 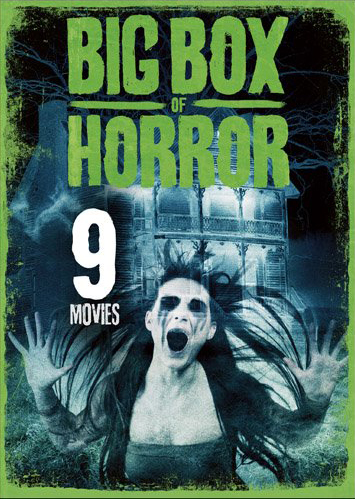 Synopsis: Vampires, zombies, bats, lunatics, piranha, and flesh-eating plants populate this nine-film Big Box of Horror Collection with classic terror. These movies have a cult following all their own with stars including Jack Nicholson, Vincent Price, Agnes Moorehead and Bela Lugosi to bring on the thrills as they prey upon trusting souls in devious ways. Lynn Sorel has been writing for Horror News Network since September 2014. You can catch up with her on Twitter at @gothicmermaid13. Read her full bio on our About Us page. 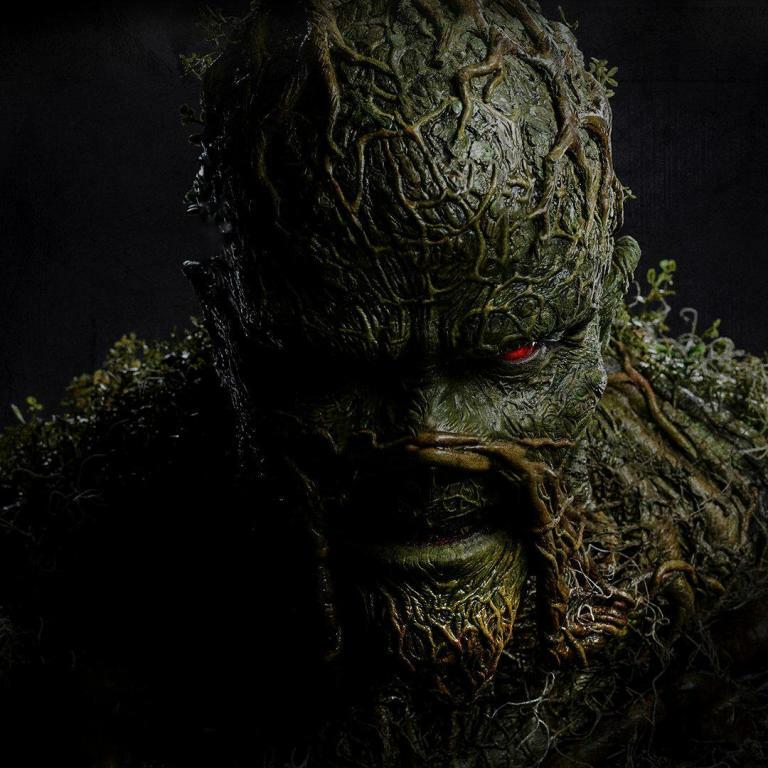 The Toxic Avenger Remake Announced New Predator movie lands Benicio Del Toro?